The 5 series was initially launched by BMW in 1972 to replace the E3 model on the sector of the luxury mid size car. Using the E12 platform as base the 5 series BMW savored designs to compete the Mercedes Benz sedan W114 and was available with an entry level unit of 1.8 or 2.0 litre configurations of the engine. The latter unit underwent minor changes in 1977 which was also the year of introduction of the E23 all new automobile platform. The 5 series along with its change underwent minor changes including improved ventilation of the dashboard, restyled headlights and a new hood. Other parts of the 5 series that were included in the first generation line up but were discontinued in 1981 included the 535i, 530i, 528i and the 525i models. 1988 saw BMW 5 series introduce its third generation based on the new E34 platform. Initially available in the body style of a saloon whereas later BMW also introduced a new Touring model with the same base platform. 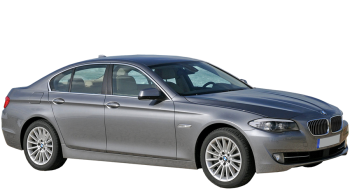 The BMW 5 series model was equipped with a longer chassis and stiffer body work all centered towards improving the driver's safety in case a collision occurs. The model also carried looks that were more aerodynamic equipped with better developed airbags, ABS system, revised suspension and the Dynamic Control System. BMW in 1993 gave the 5 series a new style through working on the exterior, introducing mirrors and new wheels along with giving it a more aerodynamic shape. The BMW fourth generation 5 series was launched in the European market in 1995 using the new E39 platform. The distinct feature of the model was its entire steel stiff bodywork that centered driver's safety in case of collision. To balance the increased weight of the new model, all new ones were fitted with new and revised suspension that were aluminum made. The 5 series was also made available in the North American market after two years of its launch in the year 1995. The new features in the car included two front and side airbags which were fitted as standard on all BMW models after 1998, traction control, anti lock brakes, air conditioning system and power steering. This 5 series model also underwent minor face-lifting in 2000. In the European market in 2000 and the North American market in 2001, the BMW 5 series sedan introduced changes in the engine management and exterior change areas. BMW also introduced minor designing changes such as new bumper and several interior changes related to the model's electronics. Also the 528i unit was replaced by the 530i which offered 225 hp whereas the 5 series saloon came with an entry level 184 hp producing unit of 525i trim in the next three years the new 5 series saw many changes in its new versions facing changes mainly related to the new electronic and technical equipment. 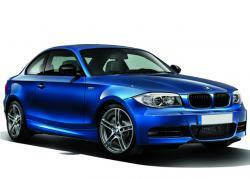 The model was replaced by the fifth generation model based on the new E60 platform in the year 2003. The 5th generation of the 5 series in 2003 being based on an all new E60 platform and still following the tradition of the previous models featured wider and longer chassis along with an entire set of active hi tech and safety components including the Active Roll Stabilization (ARS), iDrive, Active Cruise Control (ACC), Logic 7 Harmon Kardon sound system and Park Distance Control (PDC). The V8 4.4 litre units offered a revised 325 hp output and can be paired with either a manual/automatic 6 speed transmission or a 6 speed newly developed manual sequential gearbox with the shift paddles mounted on the steering wheel. Also this new generation model came with completely new interior and exterior look and was made available on both the North American and European market. The 5 series sedan underwent slight changes in 2007. BMW further launched a revised 5 series version in 2007, with minor changes in the exterior lines and many new features were included as standard. The new fascia of the model included larger intake revised front bumper, restyled headlamps and a new grille. The interior trimmings included the iDrive system and a new knob gearbox resembling the X5 type. The added attraction to the model came from the introduction of the innovative Brake Energy Regeneration which focused on storing the car's energy when in brake and transform it into energy which also gave improved fuel efficiency. Other features included Night vision Head up display, Stop and Go, Active Cruise Control and Lane Departure Warning System. The model's few engines were slightly updated and were paired with the standard manual 6 speed transmission or the optional automatic 6 speed gearbox. 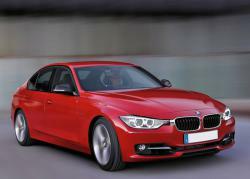 The BMW 5 series was brought to the limelight by the German carmaker on 23rd November in Munich. The 5 series new generation was based on a new platform was dubbed F10 and held for better road handling and better stability a bigger wheelbase. The design was intended to make the model appear out of line though still preserve the traditional BMW cues of design. The kidney grille is still part of the front fascia whereas the bonnet saw deliberately applied creases for aerodynamics that highlight the model's beefy look. The back fascia displays an aesthetic outlook derived from the latest BMW 5 Gran Turismo whereas the Coupe resembling roof line provides the series sedan a well balanced and composed look. 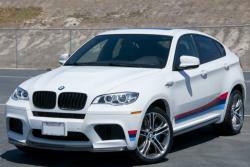 For the model BMW initiated an eight cylinder and three types of six cylinder petrol units along with a couple of six cylinder units of diesel and a turbo diesel 4 cylinder unit that produces 184 hp.